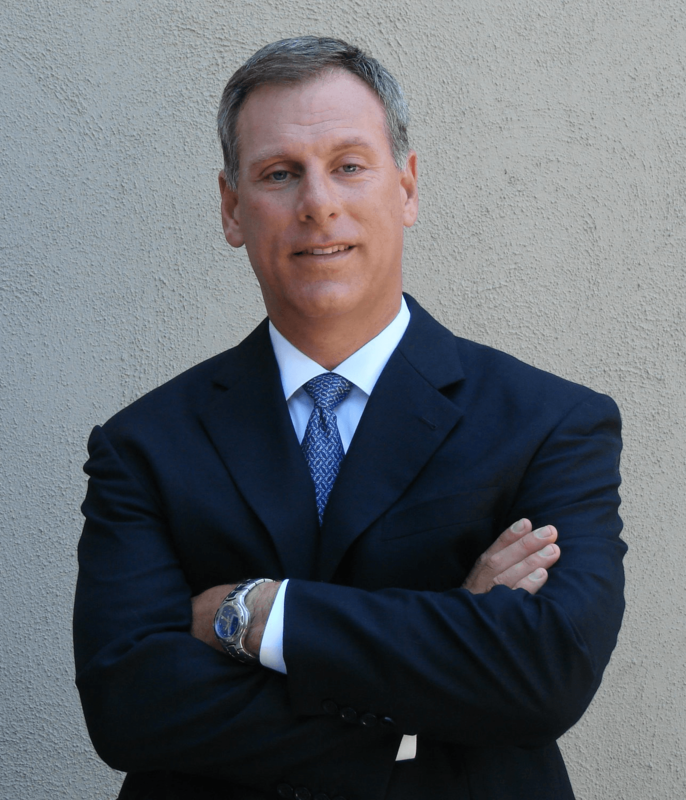 It has been a while since a political candidate has elicited such enthusiasm and excitement among Angelenos. Senator Kamala Harris launched her presidential campaign in January 2019, hoping to become the Democratic Party’s Candidate and face Donald Trump in 2020, and this has galvanized the community once again. A California native, Harris was born in Oakland, and is a graduate of Howard University and University of California, Hastings College of the Law. In the 1990s, she worked in the San Francisco District Attorney’s Office and the City Attorney of San Francisco’s office. In 2004, she was elected District attorney of San Francisco. Harris has been consistently popular in the State, especially with the LGBT community. So it’s apropos that some of Los Angeles’ most notable power-players have come together to host a mega-fundraiser for her campaign, including high-profile attorney and former senior deputy district attorney, Michael Kraut and his husband, Dan McCarty, Emmy Award winning produce, Brad Bessey, the proprietor of world-renowned The Abbey Food & Bar in West Hollywood, David Cooley, President and CEO of The Todd Group, Todd Hawkins, Bash Kazi, producer, Danny Rose, renowned attorney Rich Vaughn and his husband Tommy Woelfel. The fundraiser which includes a meet & greet with Senator Harris, will take place on Sunday, March 31st, 11AM to 12:30 PM at a private residence, address provided upon registration. Kamala D. Harris is a lifelong public safety and civil rights leader. Elected in 2016, she is the second African American woman in history to be elected to the U.S. Senate, and the first African American and first woman to serve as Attorney General of the state of California. Throughout her career, Kamala has been a fearless advocate for the voiceless and vulnerable and a vocal and determined fighter on behalf of all people. Kamala has been a key voice in the fight to hold the Trump administration accountable, asking the tough questions on behalf of the American people. She serves on the Senate Judiciary Committee, Homeland Security and Governmental Affairs Committee, Select Committee On Intelligence, and the Committee On Budget. As California’s Attorney General, Kamala prosecuted transnational gangs that exploited women and children and trafficked in guns and drugs. She led comprehensive studies and investigations into the impacts of transnational criminal organizations and human trafficking. 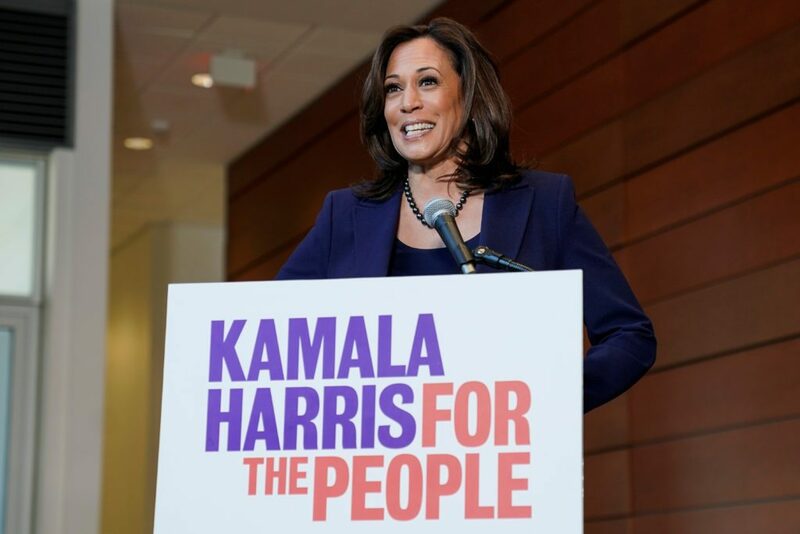 Kamala achieved landmark results for middle-class Californians, by fighting the Wall Street banks and winning $20 billion for homeowners who were facing foreclosure during the Great Recession. She helped thousands of families stay in their homes and passed one of the nation’s strongest anti-foreclosure laws. Kamala aggressively defended the rights of consumers, winning major settlements holding big corporations accountable and forging innovative agreements with the technology industry to protect the privacy of Californians and crack down against online crime. She successfully sued predatory for-profit colleges that scammed students and veterans, prosecuted big polluters, and defended the Affordable Care Act from partisan attacks. Kamala has been at the forefront of major civil rights battles as well. She was proud to lead the team that helped bring down California’s Proposition 8 at the U.S. Supreme Court and to fight for marriage equality nationwide. When the U.S. Supreme Court took up important cases on women’s health, Kamala fought to require for-profit companies to provide their employees with health insurance that covers contraceptives and protect patients’ access to reproductive health clinics. As Attorney General, she sponsored legislation to ensure that crisis pregnancy centers provide women medically accurate information about the full range of reproductive services. Kamala Harris with a young constituent at the 2018 Kingdom Day Parade in Los Angeles. Throughout her career, Kamala has been a leading advocate for innovation and reform in the criminal justice system. She established the first Office of Recidivism Reduction and Reentry and pioneered the nation’s first open data initiative to expose racial disparities in the criminal justice system. She created the “Back on Track” program which connected first-time felons with job training and apprenticeships. 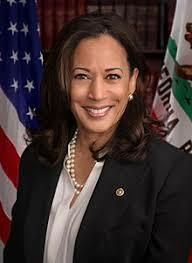 Kamala served two terms as District Attorney of San Francisco. Defeating a two-term incumbent, she was first elected in 2003, and was overwhelmingly re-elected to a second term in November 2007. She began her career in the Alameda County District Attorney’s Office, where she specialized in prosecuting child sexual assault cases. In 1998, she joined the San Francisco District Attorney’s Office, where she led the Career Criminal Unit. She also served as the head of the San Francisco City Attorney’s Division on Children and Families. She is married to Doug Emhoff and a stepmother to Ella and Cole Emhoff, and is the author of The Truths We Hold: An American Journey and Smart on Crime: A Career Prosecutor’s Plan to Make Us Safer.